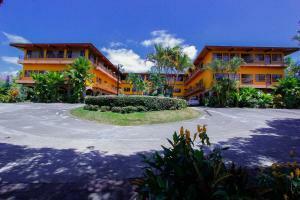 ﻿ Best Price on Hotel San Jose, Matagalpa. in Matagalpa + Reviews! More about Hotel San Jose, Matagalpa. Located in Matagalpa, Hotel San Jose, Matagalpa. Features a garden. Among the facilities of this property are a restaurant, a 24-hour front desk and a tour desk, along with free WiFi. Rooms contain a flat-screen TV with cable channels. Each room includes a private bathroom and free toiletries, and some rooms at the hotel have a patio. All guest rooms have bed linen. A continental breakfast is served each morning at the property. San Ramón is 8 miles from Hotel San Jose, Matagalpa..